Where did the time go? I picked up Homecoming Blues and I’d suddenly lost an hour and a half of my life. I looked around my little reading spot and out of the window bewildered at the position of the sun. 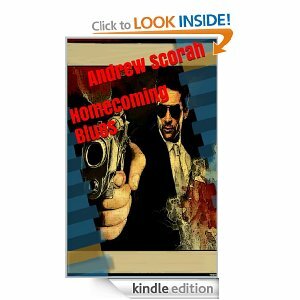 Homecoming Blues I would classify more as an action than a crime novel. The intensity of the action and the speed of events really gripped me and I read the book into two sittings. Scorah delivers everything you would expect from a good action novel: Violence, two sets of bad guys, a girl and of course the comedy sidekick. There were cockney wisecracks galore. This kind of novel will never win plaudits for emotional depth but for sheer escapism action packed fun it was a top notch read. Fans of Matt Hilton and Lee Child will love it.